More Isadora! - Bichon frisé - Hardy-Flap's kennel - Bichon frisé! Bichon frisé – Hardy-Flap's kennel – Bichon frisé! Ch Hardy-Flap’s Cyclone Eye ended the year with a trip to Bulgaria! And it was a successful trip. 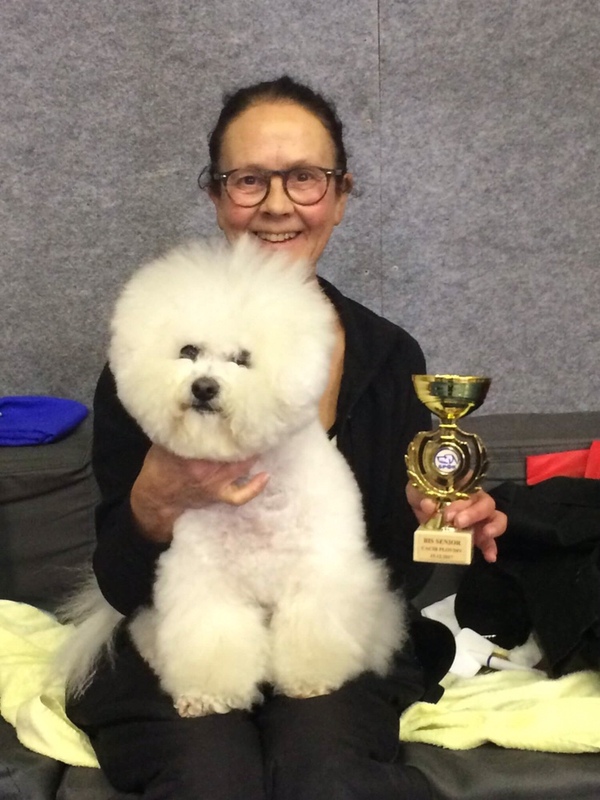 Isadora was BEST IN SHOW VETERAN 3 days in a row and also became the first Bulgarian(veteran) champion EVER! Congrats Helena and Isadora.